The Wild Horse Saloon in Nashville will be rocking on July 27. 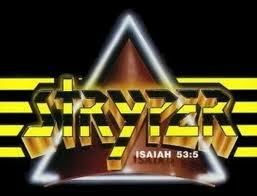 The ultimate 1980’s Christian heavy metal band Stryper will be playing that night. I saw them back in the 80’s, and I caught the show at the Wild Horse a few years ago. These guys still rock after 25 years! I really want to go see them again in a couple of weeks!